Last year, Madison’s CIO Paul Kronberger spoke with Christopher about the city’s pilot project to bring better connectivity to several lower-income areas. They also discussed the community’s separate plan to deploy dark fiber infrastructure across the city. The city recently released its Request for Proposals as they seek a partner for deployment for a Fiber-to-the-Premise (FTTP) network. Final proposals are due October 20th. The RFP comes about a year after the community finished a feasibility study to examine costs, interest, and business models for a city-wide municipal network. Madison has a specific business model in mind. They are looking for a partner willing to emulate Huntsville’s approach, in which the city designs, builds, and owns a dark fiber network. A private sector partner constructs fiber drop cables from the public rights-of-way to the subscribers’ premises. The partner handles lit services responsibilities and the city takes care of all dark fiber concerns. Madison also wants its partner to take on the task of obtaining access to necessary private easements. The community is looking for a firm that is willing to establish a long-term relationship. The city has determined that the project will consist of 114,680 residential passings, which includes both single-family and multi-family dwellings. The number of business passings has been calculated to 10,331. All community anchor institutions (CAIs) will also be connected. Approximately 247,000 people live in the state's capital city, having seen an increase of 8.6 percent since 2010. Madison is considered a town with an exceptional quality of life, in part because the city has established a set of Racial Equity & Justice (RESJ) goals. Their desire to invest in the infrastructure to bring equitable service to all of the community is an extension of those goals. 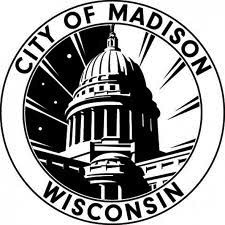 In it’s RFP, Madison stresses the need to realize its vision to bring gigabit connectivity to every premise in the community. The city has higher unemployment and poverty rates that national averages and wants to leverage ubiquitous fiber Internet access to overcome those challenges. The city is also home to the University of Wisconsin-Madison, where the research community needs better connectivity to function effectively. Similarly, manufacturing entities such as Oscar Mayer, French Battery Company, and Olds Seed Company require high-quality connections for efficient operations. Healthcare, biotech, and related industries are one of the largest industries in Madison; 70,000 people work in the field. Over the past few years, Madison has added jobs and a new municipal FTTP network could increase that momentum while sparking the community’s high-tech entrepreneurial spirit. In addition to UW Madison, eight other colleges are located in the city. The Madison Metropolitan School District manages 48 schools for more than 27,000 students and there are almost 30 additional private schools for K-12 students. We intend to empower our citizens and local businesses to be network economy producers— not just consumers of network information and data services. Further, we intend to provide our business and CAI stakeholders with the broadband capacity they need to compete successfully in the global marketplace, and to support the local community.